BCSA is all about culture, integration, and an open platform to everyone. We will be one of your gates to the Chinese world, we will be part of your journey while discovering China and we will also be your strongest support. Bocconi Chinese Student Association has been founded in 2010 by Giorgio Chen and Luca Bosisio, after their Exchange experience in the US, where almost every student in the Campus took part in some kind of initiatives organized by Associations. They were particularly impressed by the UC Berkeley CSA. 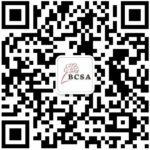 BCSA is one of the most relevant Chinese Student Associations in Italy. We are a meeting point for Chinese, Italian and international students interested in China. We host several events which allow participants to have fun and meet new people. Some of our more well-known events include the annual Welcome Dinner, Networking Aperitivo, China Talks and more! Our mission is to lodge an open gate to the Chinese world. We intend to create a universally accessible platform for students, academics and entrepreneurs interested in China and give them a possibility to exchange ideas, target opportunities and develop a future career related to China all together. We do believe that people are the most valuable assets and people’s experience is the most precious resource. Our main objective is to connect people from all over the world through a series of meetings and events.